The Orion Paragon-Plus Binoucular Mount and Tripod provides relaxing views for hours on end with binoculars up to 80mm aperture. 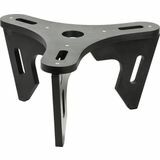 Features a clever design that allows the user to raise and lower the tripod while the binoculars stay fixed on target. 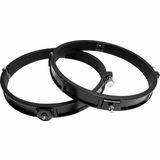 This 105mm ID Pair of Orion Guide Scope Rings will attach to a mounting plate for Orion guidescopes of up to 80mm aperture. 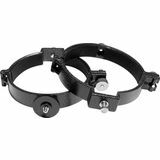 Each ring has three black nylon alignment screws which will not scratch the guidescope finish. 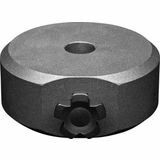 This 11lb counterweight is made specifically for the Orion Atlas and Sirius telescope mounts. 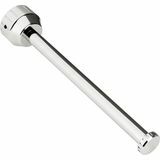 It includes a tri-lobe lock knob for easy grip. 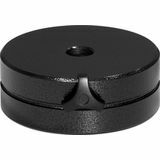 This 22.3-pound counterweight fits the 1.25" (31.5mm) diameter counterweight shaft of the Orion HDX110 EQ-G GoTo Mount, as well as other telescope mounts with a similar-sized counterweight shaft, such as the Celestron CGE Pro. This cordless, precision DC servo drive allows motorized tracking of objects in space as they appear to migrate across the night sky due to Earth's rotation. 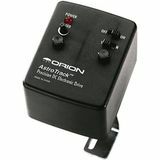 The Orion AstroTrack Drive works with Orion EQ-1 or Min-EQ equatorial mounts. 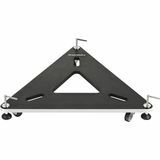 This parallelogram mount supports giant astronomical binoculars weighing up to 15 lbs. with up to 100mm-diameter objective lenses. Six degrees of motion make it easy to balance and position attached binoculars easily, even when aimed at the zenith! 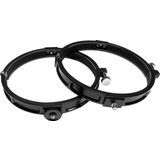 The 90mm ID Orion Telescope Tube rings fit the Orion AstroView, Explorer 90 Refractor Telescopes, Orion ShortTube 80 Refractor Telescope, and the 80mm f/11 telescope optical tube assembly. 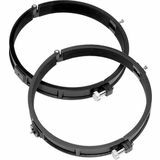 The 100mm ID Orion Telescope Tube Rings fit the Orion 80mm ED Refractor Telescope and more. The inside diameter of each tube ring is 100mm so these rings fit telescopes with 100mm outer diamater optical tubes. 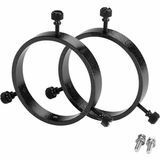 The 116mm ID Orion Telescope Tube Rings fit the Orion Apex 102 Maksutov-Cassegrain, Orion SpaceProbe 3 Reflector, Orion AstroView 120/120ST Refractor, and 120mm f/5 and f/8.3 optical tube assemblies. 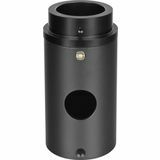 The 182mm ID Orion Telescope Tube rings fit the Orion SkyView Pro 6 and 6LT, and 150mm f/8.0 telescope optical tube assembly. 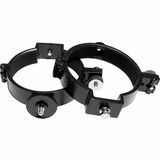 Sold in sets of two with mounting bolts and washer included. 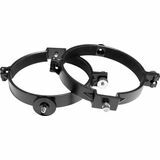 The 235mm ID Orion Telescope Tube rings fit Orion dovetail plates, Orion SkyView Pro 8, Orion Atlas 8 and 203mm f/4.9 telescope optical tube assembly. 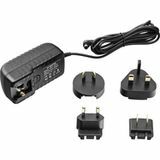 Sold in sets of two with mounting bolts and washer included. The 10" OTA Orion Telescope Tube rings fit the 254mm, f/4.7Orion Atlas 10 Reflector telescope optical tube assembly. 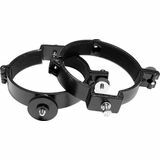 Sold in sets of two with mounting bolts and washer included. 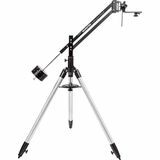 If you have heavier telescopes or astrophotography setups, you may need an extra counterweight or two. 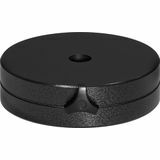 This counterweight is 7.5lbs and fits the Orion AstroView and SkyView Pro mounts. 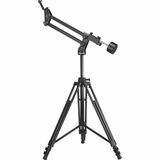 This sturdy extension raises the equatorial mount head 6.3" (16 cm) for more comfortable viewing. 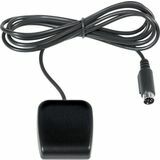 An essential add-on for users of telescopes with long optical tubes.